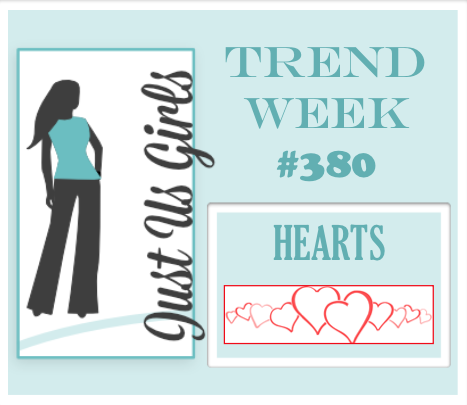 Hello Friends, Vicki is hosting over at Just Us Girls and she has a perfect Trend for us this week. Since Valentine’s Day is right around the corner it was perfect time to incorporate Hearts on our cards and or projects. I just love the look of Inlay Die-cutting, so that is what I decided to do with this challenge. The paper is from SU, the Hearts are from MFT and the sentiment is from Verve. I think I will definitely be doing this again. It’s almost like I made my own cover plate. Categories: Cards | Tags: Card making, Cards, hearts, inlay diecutting, my favorite things, rubber stamps, stamping, Verve Stamps | Permalink. I agree, that does look like a cover plate. I had to take a closer look. Love all of the delicate patterns that you used too. I love those papers and your layout, Nancy. It’s a wonderful valentine. This is so cool with all of the inlaid hearts of different pattern papers. Great idea. It looks beautiful! Oh Nancy!! this is precious : ) I’ve missed seeing your wonderful cards! I am feeling much better and hope to be back to blogging soon. I will be in touch. That’s awesome news!!!! You just made my day! Hugs! So pretty. 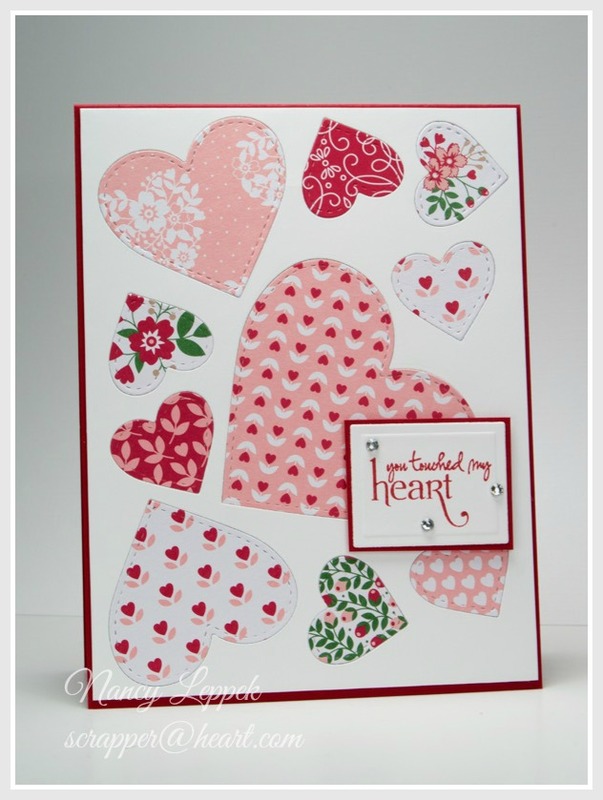 Love all those pretty hearts and the design of your card. Excellent card! Love the inlaid hearts and all the pretty papers you chose to use! So pretty! I love all of the different patterned stitched hearts and their arrangement. Love that you did the inlaid die technique! Love the placement of all those pretty hearts. Fabulous sentiment too Nancy. Sooooo…..you die cut a bunch of hearts from the white card stock, all different sizes and in a random placement. And then you cut the hearts again in various patterned papers? Have I got that right. I adore all your little patterns….this card is so stinkin’ cute, and very pretty!! !